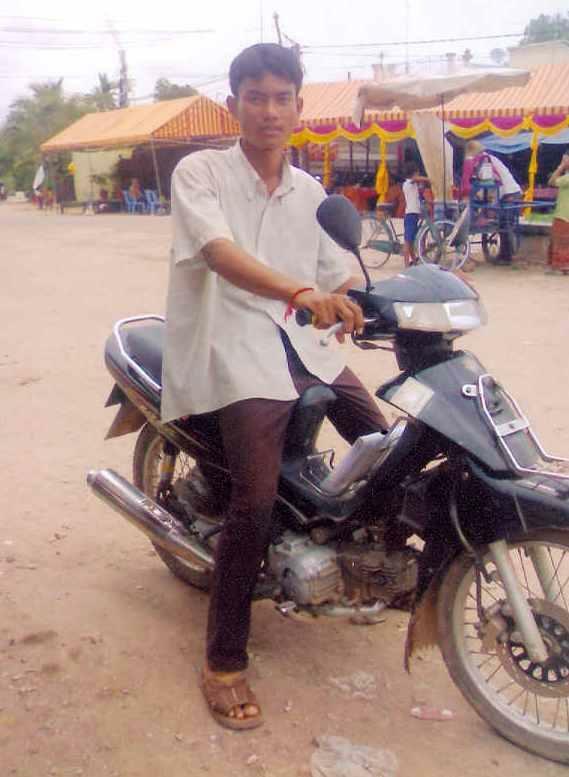 A loan of $1,100 helped to buy a new motorcycle. Mr. Daim has been living in Siem Reap Province. To earn a living, he works as a motor-taxi driver and earns an income of approximately $5 per day. To meet the family’s living expenses, his wife works as a waitress in a hotel for a fixed salary. They have one child who is very young and still lives under their care. He runs his business very well because he has skills in communication which he uses with his customers. However, his income is low as his motorcycle is too small to carry many passengers. Mr. Daim has decided to ask for a loan of $1100 to buy a new motorcycle (Tuk Tuk) so that he can increase the number of passengers he can transport.